Hundreds of lives a year could be saved by introducing a ban on trans fats in processed food, researchers are claiming. Trans fats occur naturally in some meats and products such as whole milk. But an artificial form - produced from plant oils - is used by some manufacturers to prolong the shelf-life of various processed food products and to enhance their taste and texture. Yet a high intake of trans fatty acids, which are more prevalent in cheaper products, has also been associated with a greater risk of developing heart disease. Coronary heart disease can have a major impact on people's lifestyles but it need not prevent them going on holiday, protected by a good medical travel insurance policy. The researchers say they believe a total ban on the fats in processed foods could prevent or postpone around 7,200 deaths from heart disease between now and the end of the decade - in England alone. The team, which includes experts from Oxford University and Liverpool University's Department of Public Health and Policy, say voluntary pledges from the industry do not go far enough, heightening the need for decisive action in the form of a total ban on the fats in processed foods. 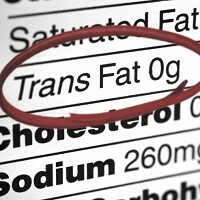 At the moment, manufacturers have no legal obligation to label trans fats although people are advised to check for hydrogenated vegetable oils or hydrogenated fats on products' lists of ingredients. The study - published in the British Medical Journal - estimates that improving labelling or removing the fats from fast food and restaurant meals could prevent up to 3,500 deaths from coronary heart disease. But the researchers maintain the most effective policy would be to introduce an outright ban on trans fats in processed food. Yet some experts have questioned the estimate on how many lives could be saved by outlawing the fats from processed food, claiming that consumption is falling and is within recommended limits. Produced through a process known as hydrogenation, industrial trans fats are said to increase levels of so-called 'bad' cholesterol, while lowering levels of 'good' cholesterol in the blood.